The chorus of voices calling for clemency for NSA leaker Edward Snowden grew by two Thursday, with both The New York Times and the Guardian publishing op-eds arguing that the United States should let Snowden return from Russia without punishment. “He may have committed a crime to do so, but he has done his country a great service," The Times wrote. "It is time for the United States to offer Snowden a plea bargain or some form of clemency." Related: Snowden’s Security Breach: Is He Really the Only One? Unsurprisingly, the American Civil Liberties Union released a statement saying that it "couldn't agree more" with The Time’s position. And the two editorials follow comments from Rick Ledgett, an NSA official who led a task force investigating damage from the Snowden leaks, who said that he’d be open to a deal that allowed Snowden to return home if he stopped leaking documents. The expanded role of the NSA came after Congress authorized the Patriot Act, which passed the Senate in October 2001 by a margin of 98-1. The USA Patriot Act is an acronym for Uniting and Strengthening America by Providing Appropriate Tools Required to Intercept and Obstruct Terrorism Act of 2001. The law gives federal authorities permission to search a home or business without the owner’s or the occupant’s consent or knowledge. It also allows the FBI and NSA to search telephone, e-mail, and financial records without a court order; and it allows enforcement agencies access to business records, including library and financial records. After the law passed, the Dept. 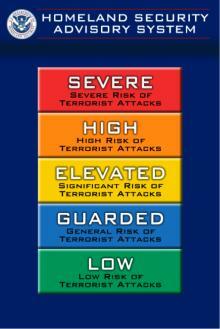 of Homeland Security issued a color-coded system of alerts. Whenever there was an “elevated risk” of terror attacks or greater, it was usually based on “increased chatter.” Where did The New York Times think that chatter was coming from? A phone booth? 1. It sets a bad precedent. Snowden made off with a massive cache of documents and has leaked them at the worst possible moments for the United States, badly damaging credibility around the world. But he is just one of four million people who have top-secret clearance. If the White House decides to give Snowden a pass, it sets a dangerous precedent: if you don’t like your job, leak American secrets to the media and we’ll let you off the hook. Clemency for Snowden would remove the threat of prosecution for ignoring the oath to protect American secrets that employees of the NSA and CIA take. 2. The Snowden revelations are no longer shocking. Snowden’s initial revelations arrived with a bang, but the ongoing trickle of secrets amounts to a whimper. HIs latest leaks - that the NSA is collecting metadata on American cell phone calls - is hardly a surprise to anyone who’s been paying attention to how the United States fights terrorism (one could argue that none of the revelations are all that shocking). Minus an absolute bombshell from Snowden, the worst of the damage he caused is already done. He’ll no doubt keep leaking, but the shock value of the revelations is likely to continue to wane over time. 3. Let’s not forget, Snowden peddled American secrets in exchange for asylum. The United States is currently engaged in a cyber Cold War with China. Lost in the ever-evolving Snowden narrative is that at the beginning of this all, he offered China documents in exchange for asylum. It’s one thing to be a whistleblower; it’s another to offer American secrets to a rival in exchange for safety. That makes Snowden no different than other spies who have left the United States and then gave information to a rival. This isn’t to minimize the importance of the issues raised by Snowden’s leaks. It’s important that U.S courts and the public debate whether the NSA’s tactics are legal. But it’s not an accident that Snowden has ended up in Russia, an emerging rival to the United States and a police state far worse than here. The best course of action is to let him stay there.